Hawaii Volcano Scrapbook – Page 16 – What's Kīlauea Doing Now!? Amateur video of Halema’uma’u lava lake in Overlook Crater, taken by Jeffrey Brown on April 30, 2018. 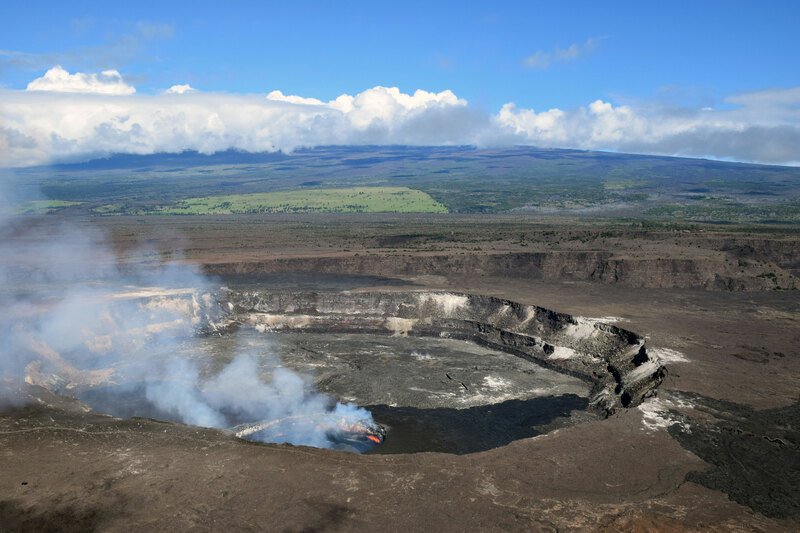 The week before, the summit had been inflating and the lava lake had been overflowing, as seen on this USGS timelapse video of Halema’uma’u Crater April 25-26. [Backdated post] I keep needing to refer back to this April 13, 2018 USGS photo of the summit of Kīlauea and Halemaʻumaʻu Crater before everything changed. Ah, the innocent days before everything changed! HVO’s weekly Volcano Watch column on March 22 discusses the fluctuating levels of Kilauea’s lava lake, and new technology being used to measure it. Also, as was usual for Volcano Watch posts before the current eruption, the end of that entry provides a status update for Kīlauea, Puʻu ʻŌʻō, and Mauna Loa. This was the status quo before fissure 8 became the New Normal. Video by Bryan Lowry of Lavapix.com in 2011. Back when Pu’u O’o was healthy, it sent lava flows south down the flanks of Kilauea to the ocean, mostly away from populated areas (although unfortunately it did take out the community of Kalapana plus the half-built Royal Gardens Subdivision). See HVO’s photo history of Pu’u O’o from 1983 to the present.